This Website Is No Longer Active. : More Child Stealing By The State.Childrens Social Services Are A Criminal Organisation. More Child Stealing By The State.Childrens Social Services Are A Criminal Organisation. 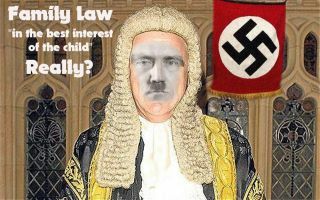 How a mother fell 100ft down Cheddar Gorge Cliffs and, instead of being left alone to recover from her accident, NAZI Social Services saw it as yet another chance to steal another child to be placed into 'care', in a clear attempt to line their pockets! This woman has been up against it all... perjury, threatened with prison and, laughably, even assessed by a 'child' psychologist (all at the public's expense), which, when she questioned, was then given an adult psychologist, even though the child psychologist had done an assessment in the full knowledge that he was not qualified to do so but kept the money nonetheless! She has randomly had her 'contact sessions' stopped with her son for the most bizarre reasons: for one, giving her son reassurance by telling him the truth that she had not given him away but that it was Social Services who took him! Social Services are the ones that are emotionally harming children! It is time for people to come together and stand up against this corruption and exploitation of the innocent. One Day,One Day Soon They Will Be Brought To Account. PLEASE FORWARD AND SHARE ONLINE. You are Invited to the following as a guest or as a speaker. The Child Protection and the future of our families Conference. WORLD MEDIA HELP Stop Children Being Abused. Parents Carers Grandparents. British Muslim Polish French Jews Christian Children being stolen then abused. WE HAVE HAD ENOUGH BRITAIN WILL BE ON ITS KNEES. Inverness to Plymouth Glasgow to Swansea and Aberdeen to London. Until such time families and the Nation all come together march or do some thing then do not ever complain try putting your legs were your mouth is and march on the M25 Blockade on the 24th July 2014 if not book your free seat at the conference on the 25th July in London with many top quest speakers if not then sit with your computers on face book and complain and do remember every second of the day a kid is being abused. DO SOME THING. We have to be the voice for the children they are the SILENT WITNESSES. This little girl Below is asking for help WHY should a child have to beg adults for help we the families should be in our thousands on the 24th July 2014 at the M25 Blockade to support all of the children "screaming to be heard" who are "the silent witnesses" in the care system we have 10.000 kids running away from abuse of the system are they running back home NO because many kids in care are told my the system YOUR families do not want you and I Maggie Tuttle know this to be true after interviewing in the early hours of the mornings the homeless kids living on the streets of London begging and for many who are picked up and trafficked prostituted murdered their little bodies sold for science pedophiles abusing them. Only we the Nation and families who have lost children can put a stop to the abuse and to the multibillion pound Child industry which states ahhaha "IN A CHILD'S BEST INTEREST" I hope to see you all on the 24th July 2014. This may be the first Global conference Ever Let us all work together in Child Protection parents carers and professionals that's ever taken place in Scotland and linking up with speakers worldwide. We need mums and dads who have children taken in to care and also care leavers and children who have been abused now adult survivors please come forward if you have been a victim of satanic ritual abuse please speak out .